New System – Vacuum Unplugged! 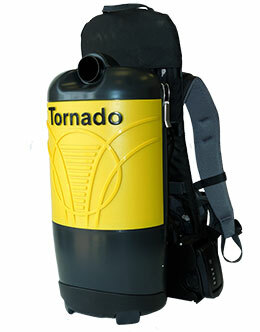 For a limited time, through February 29, 2016, we are offering a special promotion on the new Tornado Vac-Pac 6 Roam! 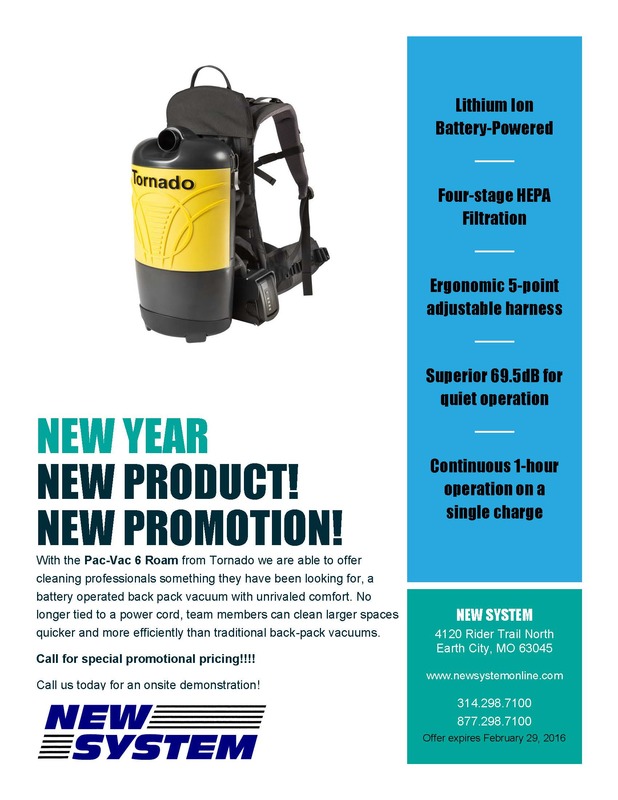 With the new Roam we are able to offer cleaning professionals something they have been looking for, a battery operated back pack vacuum with unrivaled comfort. No longer tied to a power cord, team members can clean larger spaces quicker and more efficiently than traditional back-pack vacuums. Standard backpack vacuums encounter heat buildup at the back of the operator, which can cause discomfort and decrease cleaning productivity. The specially designed and patented Aircomfort System from Deuter keeps a layer of air between the operator and machine on Tornado’s Pac-Vac® Series. GIVE US A CALL FOR YOUR SPECIAL PROMOTIONAL PRICING AND TO ARRANGE A DEMONSTRATION AT YOUR FACILITY! CLICK HERE FOR A COPY OF OUR PROMOTION.